• A Public Address system is a collection of audio equipment that allows broadcasts over a designated area. 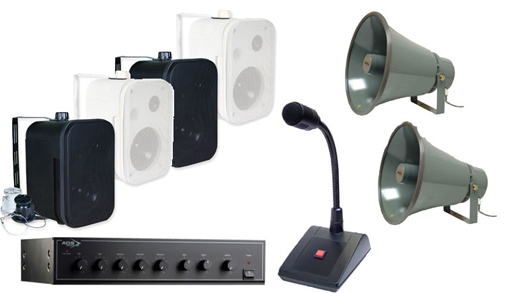 • Other found in school and office building, PA system can be used for general announcement or emergency information, providing a simple way get information out quickly. • A high quality public address system (PAS) provides better sound through the use of leading edge technology and good design. PAS uses the optimal number of speakersto suit your environment. PAS also acts as a Fire Evacuation System when integrated with fire alarm.